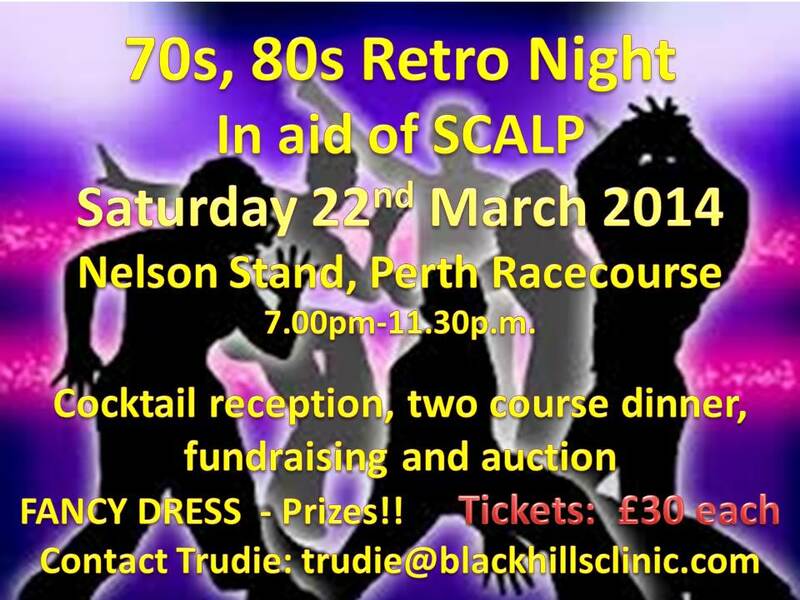 Blackhills Clinic and SCALP are hosting a 70's/80's Retro Fancy Dress Disco at Perth Racecourse on Sat 22nd March 2014. The evening will start with a cocktail reception followed by a two course dinner, disco and fundraising. Tickets are £30 each or a table of 10 £300. Come along for a great evening of entertainment, good food and a boogy on the dancefloor!! The cocktail reception has kindly been sponsored by Mr Colin Rowley, Dron & Dickson.